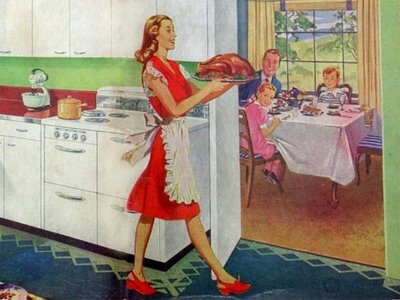 This weekend is Canadian Thanksgiving, which means big family dinners abound & no school on Monday (though I’ll still be working). Our extended family are all scattered a bit too far apart to get together this year (plane rides would be necessary), so it looks like it will be a quiet celebration round these parts. As long as I get some pumpkin pie in my belly, I’ll be happy. Oh & maybe something with yams! Fortunately my mister is a very good cook, just one of the many things I have to be thankful for. The last year has been an amazing one & I feel incredibly grateful to be doing what I love. I’ve been steadily moving from “starving” artist to “thriving” artist & I can’t wait to see what the next year has in store for me. From the wonderful customers I’ve met to the fellow artists & crafters I’ve had the pleasure to work with, I feel so lucky to be part of a fantastic, creative community. I feel so sure that this. is. my. path. And that feels AWESOME! I wasn’t one of those kids who grew up always knowing that I’d be an artist. I didn’t even allow myself to entertain the idea, thinking it was completely far fetched. I’ve always had creativity as a focus in my life in some capacity – photography, graphic design, writing – but it took me a long time to allow that little “You Are An Artist” seed to see the light of day. I’m a very practical, logical person, so I kept that particular dream locked up until I saw artists representing themselves online. Suddenly there were artists creating art that *I* like & selling it themselves – no gallery required. Amazing! Though it took a bit longer (OK, a lot!) than I would’ve liked to find my path, I can see how the tools I learned along the way help me do the work I do today. My years doing tech support & web design meant that I already knew how to set up a website, use social media, set up a mailing list. I don’t spend as much time as I probably should on marketing, but that’s not because I don’t know what to do. Time management on the other hand? Definitely a skill I could use some help with! I’ve veered from Thanksgiving here, but I think it’s important to tell my story honestly. When I first started selling my work online, it felt like everybody was just so…together. Amazing art, fantastic blogs updated like clockwork, gorgeous photos of their fabulously decorated homes & families – a lot to live up to. After browsing my blogroll sometimes I still feel a pang of “Dear God what would these people think if they saw how messy my house is? !” I want my readers to feel inspired, encouraged. It’s a journey to craft the life that you want, but you can get there. And when you do? Pass the yams.